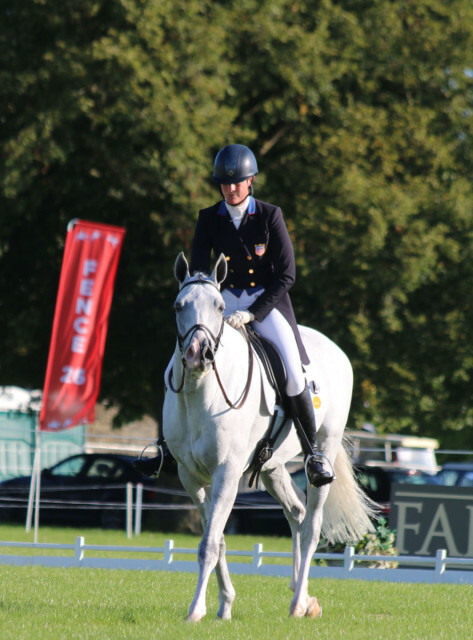 Lauren Kieffer and Landmarks Monte Carlo complete their CIC 3* test at Blenheim Palace. Photo by Samantha Clark. 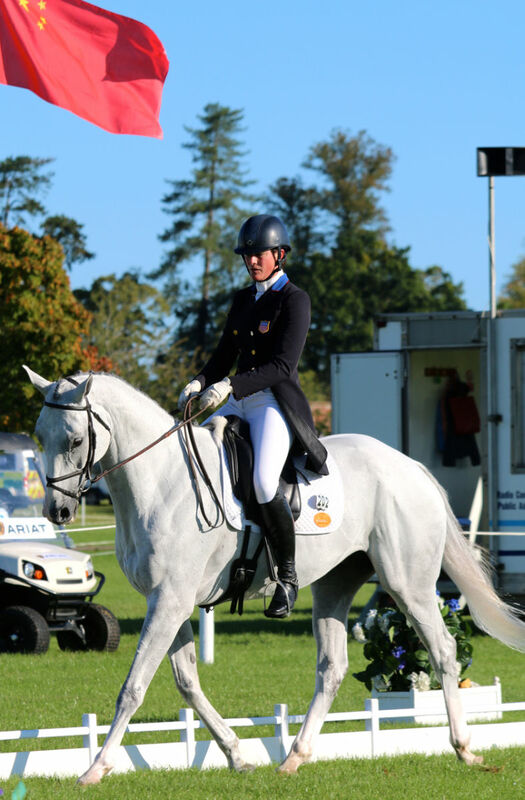 Lauren Kieffer and Landmarks Monte Carlo got the U.S. off to a good start at the Blenheim Palace International Horse Trials on Thursday morning; second to go under sunny skies, gasp, in the CIC3* on Ms Jacqueline Mars’ homebred, Lauren rode her customary cool, accurate test and ‘Patrick’ as he’s known obliged with steady, willing paces and a lovely attitude, not at all put off by the energy, and the action going on all around him. 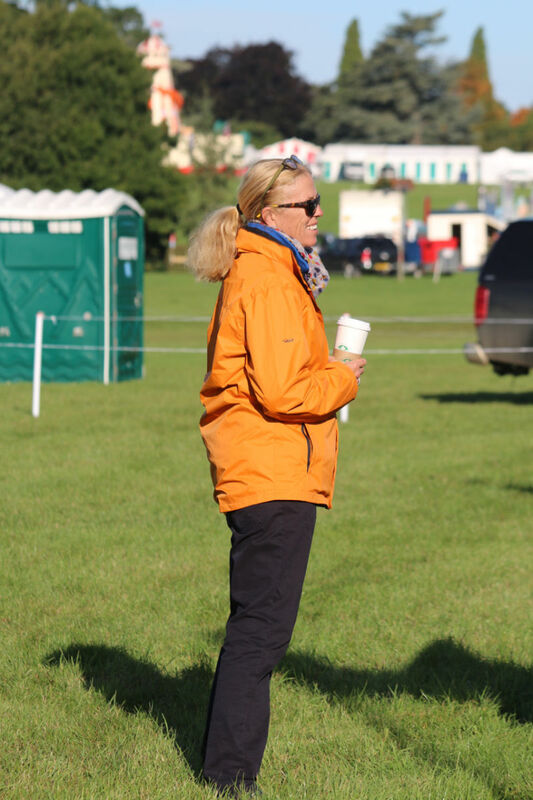 Not only is there a significant amount of atmosphere here at Blenheim, there’s the Pony Club jumping taking place in an adjacent arena! 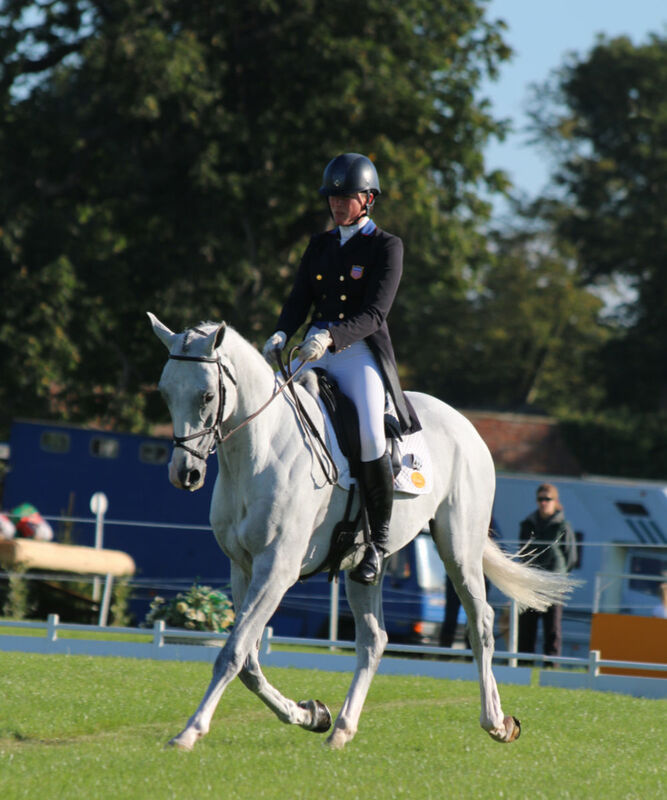 Immaculately turned out by super groom Shannon Kinsley, ‘Patrick’ is by Irish Sport Horse Formula One, and out of an Australian Thoroughbred Glamour. They scored 46.7, which has them sitting in equal second place currently. 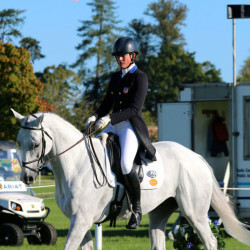 Lauren Kieffer and Landmarks Monte Carlo in the Blenheim Palace CIC3*. Photo by Samantha Clark. 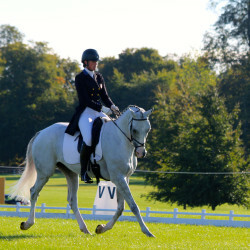 Lauren Kieffer and Landmarks Monte Carlo during their Blenheim Palace CIC3* test. Photo by Samantha Clark. Deb Furnas is here on behalf of the US Selection Committee. Photo by Samantha Clark. 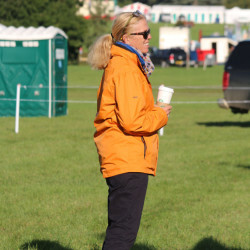 Lauren was kind enough to stop and chat briefly after her test and give us her thoughts on Saturday’s cross country. We’ll have more with her later as well of course after her test on Veronica, and wish her the best of luck. 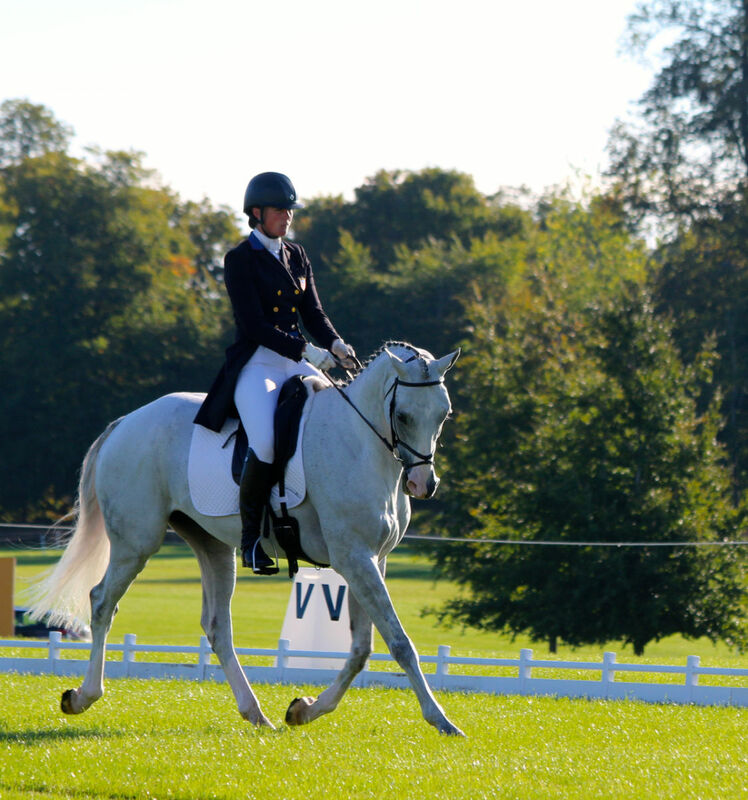 Thanks for chatting, Lauren, and fingers crossed for a stellar weekend here at Blenheim Palace. 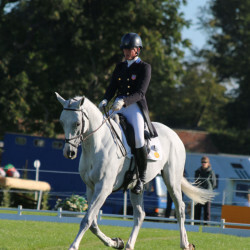 Go Kieffer Eventing!